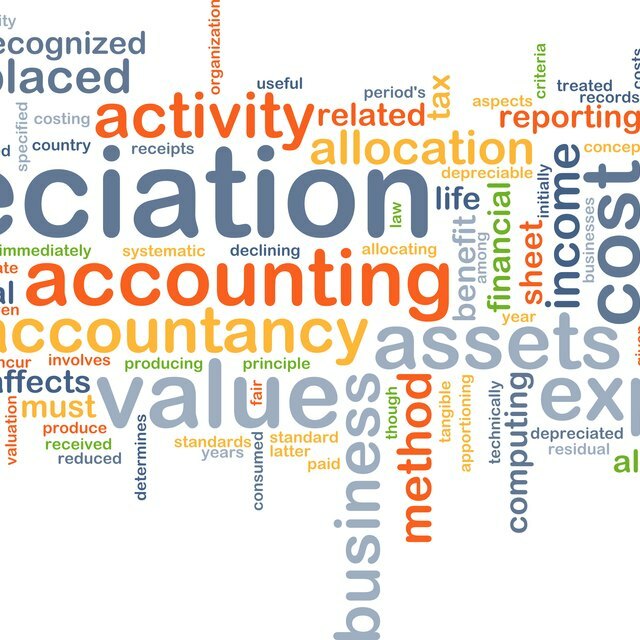 Depreciation is an important concept in finance and accounting. Businesses often invest in property they use for long-term operations, but must pay for immediately. If accountants regarded the acquisition of such items as a one-time expense, without considering its use over an extended time, the records for the company would not accurately reflect its financial state. Consider a business that acquires an expensive piece of equipment, say a book publisher obtaining a printing press. Assume that the press costs the company $1 million and is expected to operate for 10 years before it wears out. Also assume, for this example, that operating this press will generate $200,000 per year. You can look at the numbers involved to see that the company should buy this press. However, accountants often need to distill information far more complex than this into statements that give us a snapshot of the company's financial health. If a company does not use depreciation, the acquisition of the press will result in a loss of $800,000 in the first year. (An additional $200,000 in revenue from using the machine, minus the $1 million cost of the machine.) This inaccurate picture would only get worse the next year, when the extra $200,000 from running the machine is not offset by the wear and tear the machine actually experiences. Several methods work for calculating depreciation, but a simple one is "Straight-Line Depreciation." This is: value of the item when purchased, minus the value of the item when it is completely worn out (scrap value), divided by the number of years it will probably still function. For this example, if the completely worn-out press can be sold as scrap metal for $50,000, then the formula would look like this: ($1,000,000 - $50,000)/10 = $95,000. In other words, the accountants count the cost of the press as being $95,000 each year for 10 years. Without depreciation, the first year shows a huge deficit. Clearly, acquiring the press is a good choice that will have long-term benefits. But, by recording the expense all in one year, a company would get a distorted picture of the impact it has on the company. This distortion continues in the next year, when the benefits of the new equipment is recorded, but the cost of it is completely ignored. Using depreciation, a company spreads the cost of the press over the time it will be in use and avoids both these problems. Sometimes a company should use alternate methods of calculating depreciation. While the original purpose of depreciation was to match the cost of an asset with its use, there are often other motives as well. According to an Investopedia, companies can use an accelerated depreciation method called "Double Declining Depreciation" to show most of the financial strain of new equipment on the early years of its use. But if it wants to boost its earnings-per-share, it will use straight-line depreciation. The firm may also decide to use more or less generous estimates for scrap value and for the useful life of an asset. While past earnings and expenses are recorded in exact figures, expected life and scrap value are estimates and may be approximated in directions that make the company look more favorable. The purpose of depreciation is sometimes misinterpreted. Depreciation is a record of how much of an asset's useful life has been exhausted and how much that costs the company. The fair market value of the asset is irrelevant. The only important factors are how much the item costs, how long it can be used and what it is worth when completely exhausted.